Despite the name, it’s not all about the nails at Naseir’s Nails Laser & Aesthetics. Sure, they’ve got all the mani-pedi fixins, including ultra-durable Shellac and gel polishes, but the full-service spa also specializes in hair styling services, specialty facials, and laser hair removal treatments. 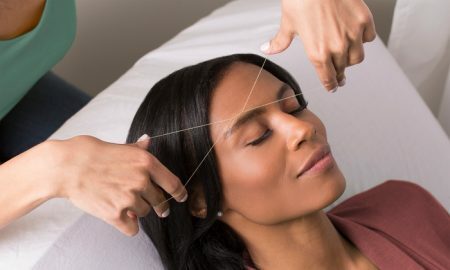 It even has a threading expert on hand to shape eyebrows into elegant arches, complimenting freshly affixed lash extensions applied by the spa’s resident lash-ologist. Promotional value expires 90 days after purchase. Amount paid never expires. Appointment required. Limit 1 per person, may buy 1 additional as gift(s). May be repurchased every 30 days. Limit 1 per visit. Valid only for option purchased. All goods or services must be used by the same person. Merchant’s standard cancellation policy applies (any fees not to exceed voucher price). Merchant is solely responsible to purchasers for the care and quality of the advertised goods and services.